These Lancaster MA homeowners had a great deal of rot and water damage occurring with their roof so they were certainly in need of an upgrade. When we brought the idea of James Hardie to them they loved it and the results made them even happier. PBS installed James Hardie Fiber Cement Siding Hardie Plank with Hardie House Wrap around the entire dwelling and tape around all seams including windows. Siding color is Monteray Taupe. 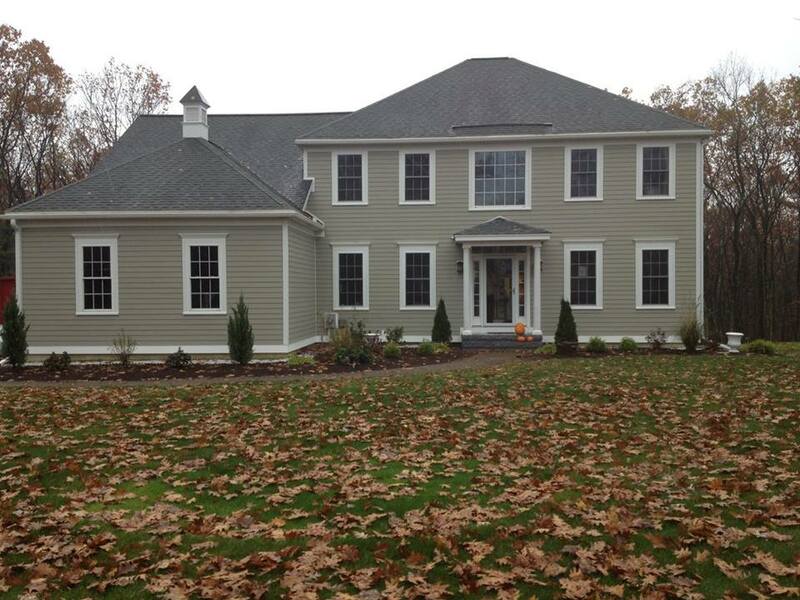 We used a 5” reveal and installed trim on all windows & doors. 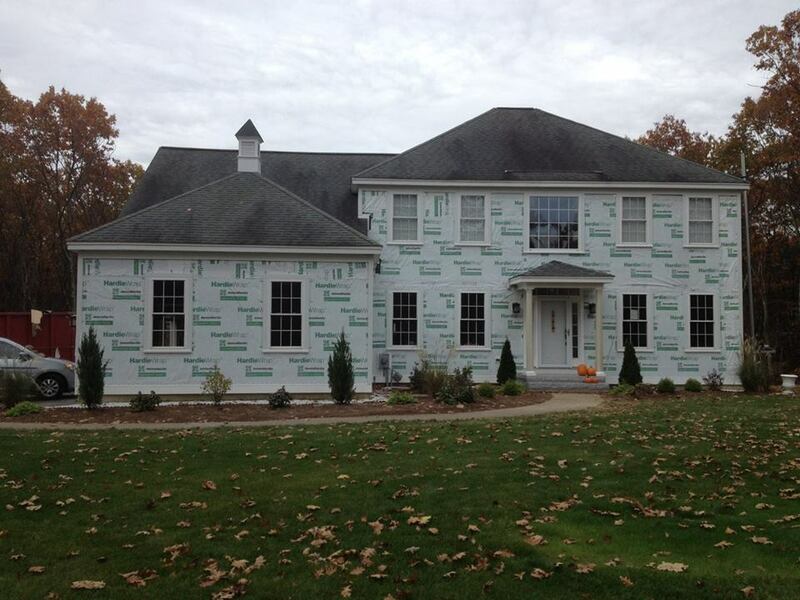 We also installed Hardie soffit, Arctic White crown molding trim, and fascia as well as friezeboard and washboard. This family loves the heat retention and durability of their new siding!